Relative to many boats a kayak is small, unstable, and rather slow. In a lot of ways these attributes can make kayaks unsafe. To a larger degree than most boats the safety of the person on the boat is dependent on the skill and judgement of the paddler. Where some boats will keep their passengers alive despite the errors and faults of the passenger, a kayak does little to overcome the failings of the paddler. While it is possible to design boats that are inherently safer, and there are things that you can do to make a kayak as safe as possible, trying to make a kayak that you would call truly safe would result in a boat that is no longer truly a kayak. The first line of defense for any boat user is sound judgement. This means only going out on the water when your abilities are up to the challenge, and avoiding situations on the water that will put you at risk unnecessarily. Good gear is useful, sound paddling skills can help, but there is no substitute for good common sense. Before you put on the water look at the weather forecast, feel the water, consider where you are going and stop to think about what the consequences of a mistake or problem may be. 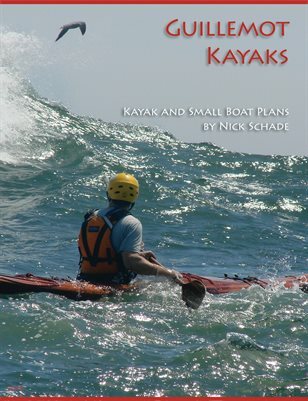 Even the most skilled, best equipped and knowledgeable kayakers can make mistakes or get caught by surprise. An unexpected front may blow in, they may duck under a branch and capsize, or their paddle may break. If you stop to consider some of the risks and have plans for how you will deal with almost any problem that comes along.